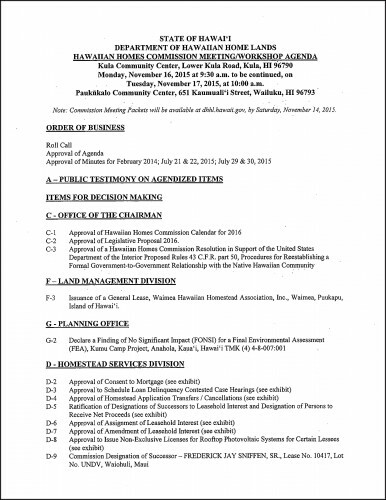 on Monday, November 16, 2015 at 9:30 a.m.
Hawaiian Homes Commission Meeting agendas are available approximately one week in advance on the HHC Meetings page on our website, http://dhhl.hawaii.gov/hhc. 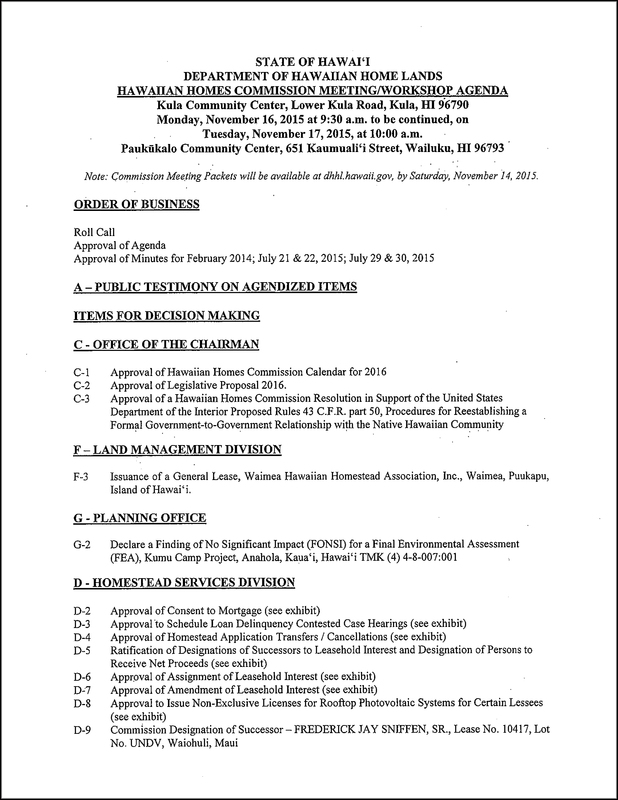 Click here to download a PDF of the detailed HHC agenda. on Monday, November 16, 2015 from 6:30 – 8:30 p.m.
** During Open House, representatives from DHHL divisions will be available for one-on-one consultation with beneficiaries. 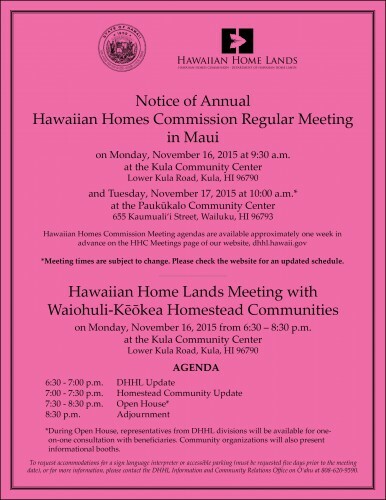 Community organizations will also present informational booths.